Dr. Boswell's lab focuses on learning about the processes that mediate behavioral and distributional patterns in coastal and marine nekton, ranging from large predators through their prey. By applying and developing acoustic methods in the field and laboratory analytical techniques, the lab understands and explains processes within coastal and marine communities with focus on habitat and resource utilization, predator-prey interactions and behavior. Led by Dr. Gardinali, the Environmental Analysis Research Lab (EARL) is a one-stop analytical facility equipped to conduct specialized trace organic analyses in a wide range of environmental samples (waters, sediments/soils, biological tissues and influents/ effluents). 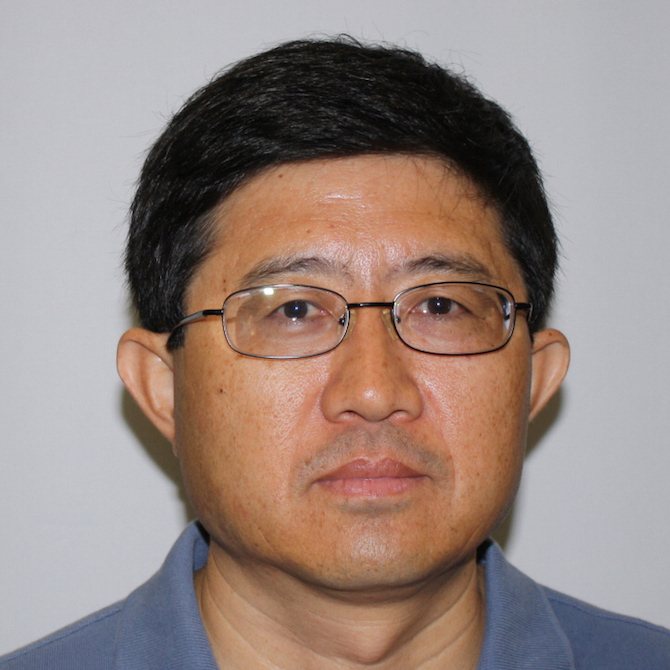 Directed by Dr. Cai, the Environmental Bioinorganic Chemistry Laboratory (EBCL) is a research group working in the field of environmental bioinorganic chemistry, biogeochemistry, and bioanalytical chemistry to address questions about the environmental fate and health effect of biomedically and environmentally important metals. Dr. Eirin-Lopez's Environmental Epigenetics Lab (EELab) investigates the cause-effect relationships between environmental stressors resulting from global change, including harmful algal blooms, nutrient loading, ocean acidification, thermal stress, etc., and the subsequent epigenetic mechanisms regulating physiological responses in marine life. Dr. Gaiser's lab focuses on how algae regulate the dynamics of ecosystems and how changes in the abundance of algae species can be used to diagnose sources of environmental change. Dr. Heithaus' team research how predator-prey interactions structure communities with a particular focus on the role of non-consumptive predator effects. Dr. Kominoski's lab explores various scales of organic matter processing along gradients of environmental drivers within and among ecosystems. Dr. Price's lab uses natural geochemical tracers including the stable isotopes of oxygen and hydrogen to track water flow and chemistry throughout the hydrologic cycle. Her team also investigates water-rock interactions in carbonate aquifers, seawater intrusion and sea level rise. Dr. Rehage's lab studies the ecology of coastal fishes and recreational fisheries and fish responses to varying hydrology while incorporating anglers into fish ecology. Dr. Sah's field-oriented and multi-disciplinary lab studies terrestrial ecosystems of southern Florida.